It's no secret that Huawei is hellbent on toppling Samsung as the biggest smartphone vendor worldwide. And now it looks as if Huawei is going to pip Samsung to one of the flagship features of its next smartphone redesign. According to the latest teaser poster shared by Huawei, the Shenzhen-based company is planning to unveil a new phone with the same Infinity-O style display design that Samsung touted at its annual developer conference last month. For those who missed the developer keynote presentation, the Infinity-O is an almost all-screen design with a small cut-out shaped like an "O" – hence the name – that houses the front-facing camera lens. Infinity-O was presented at the developer conference as one of the multiple possible screen designs planned by Samsung to avoid the increasingly-popular notch design. The latter is increasingly popular with handset manufacturers following the launch of the iPhone X last September. Apple iPhone XS, OnePlus 6T and Huawei Mate 20 Pro all use a curved notch at the top of an edge-to-edge display to house the front-facing camera, speaker grill, and other sensors, or facial recognition technology. However, Huawei now looks set to drop the notch in favour of an O-shaped cut-out for the selfie camera. 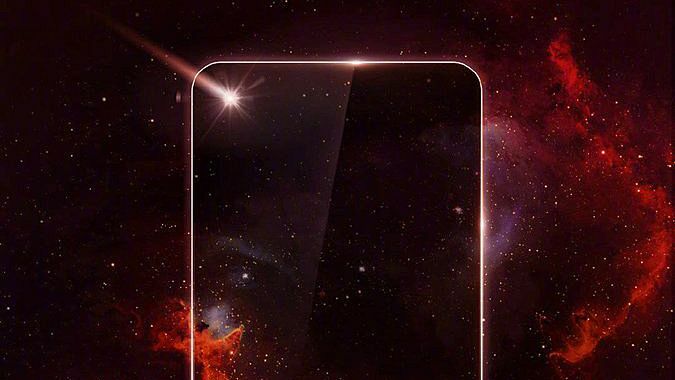 The company shared a teaser image that showed the outline of an as-yet unannounced handset with a hole in the upper left corner of the screen. The teaser image, which was posted via its official Weibo account, also carries the Huawei logo and a month of release date – December. According to some whispers, the Infinity-O design will make its debut with a new mid-range handset from Samsung, which will launch sometime before CES 2019. Dubbed Samsung Galaxy A8S, it's unclear whether Samsung will manage to launch its first handset with a camera cutout before Huawei next month, or whether it will be beaten to the punch. The same O-shaped screen design will also purportedly appear on the Galaxy S10, since Samsung has already ruled-out a notched design in its next-generation Galaxy S smartphone. Samsung and Huawei are also battling to become the first smartphone manufacturer to launch a folding smartphone worldwide early next year.